Armchairs - LIVING AND CO.
Beautiful armchair of the beautiful interior brand Nordal. 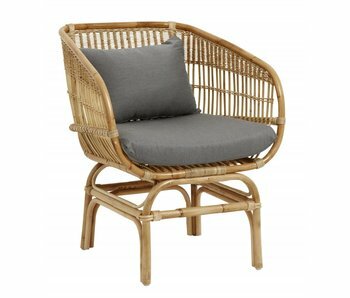 This Nordal armchair is made of natural rattan with gray cushion. The chair is 68 cm deep, 75 cm wide and 81 cm high. The seat height is 44 cm. The pillow is washable at 30 degrees. Beautiful Bloomingville Bass lounge chair. 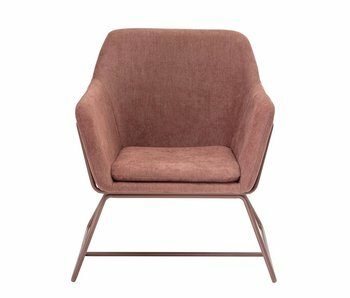 This Bloomingville Bass chair is made of pink polyester with metal base. The seat height of the chair is 40cm. How do you combine this chair? 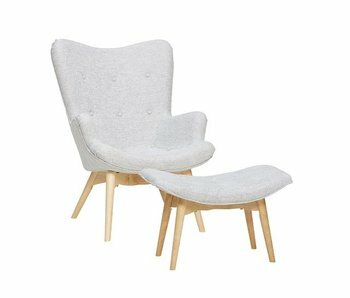 Modern armchair from the Danish residential brand Hübsch. 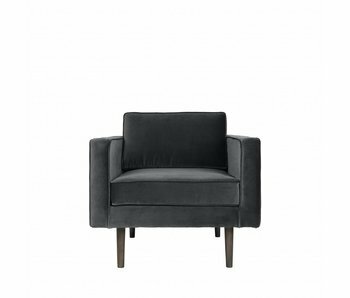 This Hübsch armchair is upholstered in a light gray fabric and has a black metal base. How do you combine this beauty in your interior? 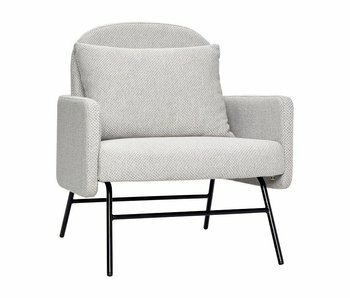 Modern armchair from the Danish residential brand Hübsch. 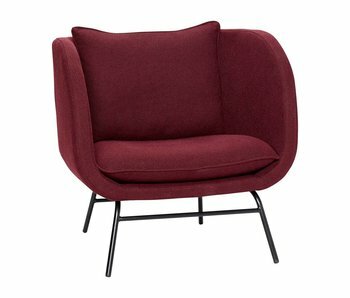 This Hübsch armchair is upholstered in a burgundy red fabric and has a black metal base. How do you combine this beauty in your interior? Broste Copenhagen Wind armchair. This beautiful Wind armchair from the contemporary collection of Broste Copenhagen is very comfortable. 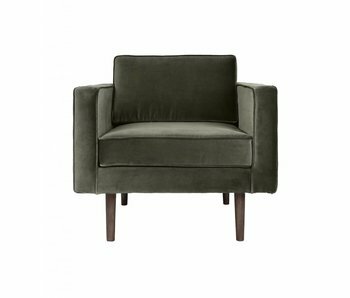 The armchair is upholstered with dark green velvet fabric and fitted with wooden legs. Beautiful Dawn armchair from the beautiful interior brand Bloomingville. 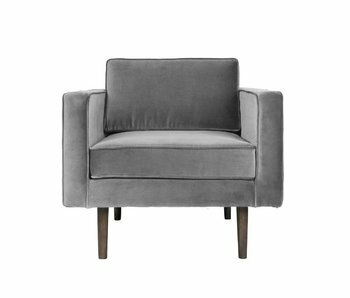 This Bloomingville Dawn armchair is made of a gray polyester fabric with black metal base. Wonderfully comfortable. Beautiful Coast chair from the beautiful interior brand Bloomingville. This Bloomingville Coast lounge chair is made of green rattan with a mustard colored metal frame. Nice combined with the items from the new Bloomingville collection! Beautiful Lake chair from the beautiful interior brand Bloomingville. 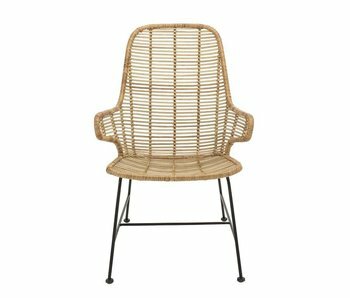 This Bloomingville Lake lounge chair is made of natural rattan with a black metal frame. Nice combined with the items from the new Bloomingville collection! Modern armchair with footstool from the Danish Hübsch. This Hübsch armchair is upholstered with a beautiful fabric and has a wooden base. How do you combine this beauty in your interior? Modern armchair by the Danish Hübsch. This Hübsch armchair is upholstered with a light gray fabric and has a wooden base. How do you combine this beauty in your interior? Modern armchair with footstool from the Danish Hübsch. This Hübsch armchair is upholstered with a light gray fabric and has a wooden base. How do you combine this beauty in your interior? Broste Copenhagen Wind armchair. This beautiful Wind armchair from the contemporary collection of Broste Copenhagen is very comfortable. 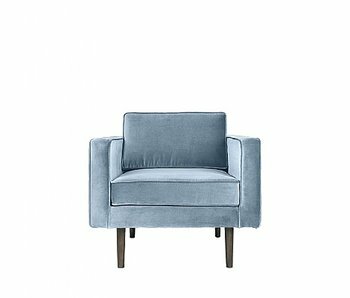 The armchair is upholstered with gray velvet fabric and fitted with wooden legs. Broste Copenhagen Wind armchair. This beautiful Wind armchair from the contemporary collection of Broste Copenhagen is very comfortable. 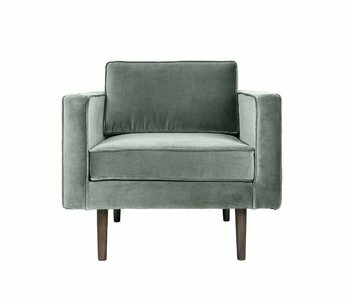 The armchair is upholstered with green velvet fabric and fitted with wooden legs. Broste Copenhagen Wind armchair. This beautiful Wind armchair from the contemporary collection of Broste Copenhagen is very comfortable. The armchair is upholstered with gray fabric and wooden legs. Broste Copenhagen Wind armchair. This beautiful Wind armchair from the contemporary collection of Broste Copenhagen is very comfortable. 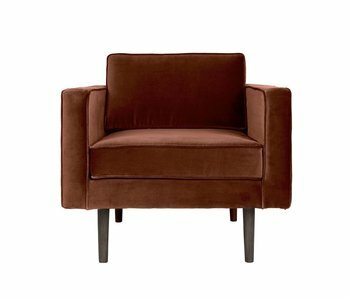 The armchair is upholstered with caramel brown fabric and wooden legs. Looking for a comfortable lounge chair? Search no further! This light gray Bloomingville Liva rocking chair is perfect to lounge all days long. Equipped with white metal base. Wonderful Fest Amsterdam Juno loveseat upholstered with the beautiful Febrik Stitch Earth dust. The loveseat is very soft and perfect for lounging. A true eye-catcher in your modern home!